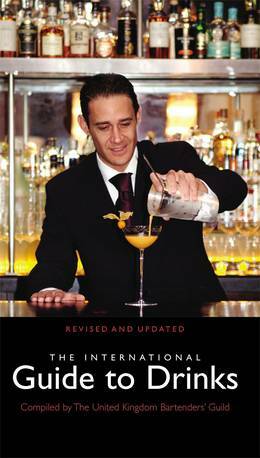 Many other cocktail books have been and gone, but the International Guide to Drinks remains the book used by bartenders the world over, with a comprehensive guide to the preparation of every kind of drink, from exotic cocktails to wines, liqueurs, spirits and beers. Fully revised and updated with colour photography and explanatory diagrams, the book features winning recipes from the World Cocktail Championships, and includes sections on classic and contemporary cocktails, countries and their drinks, wines of the world, spirits and beers, aperitifs and digestifs, plus a detailed glossary and table of measurement. Special features of this revised edition are a guide to the new varieties of wine that appear on supermarket shelves and a section on new spirit companies that are now at the forefront of taste. However, the basics are not forgotten. Once you have read this book you will know everything there is to know about buying, mixing and serving drinks in the best tradition of the bartenders' profession. This definitive book is as indispensable to the well-stocked drinks cabinet as the corkscrew!